Strong, great for large flies. Grabflies ties it's Moal Leeches with Big Fly Thread - good to build up head behind bead or cone. 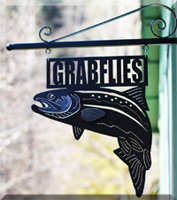 Grabflies uses this thread for it's Moal Leeches and Saltwater flies.